What Does This "Vision and Strategy" Really Mean? 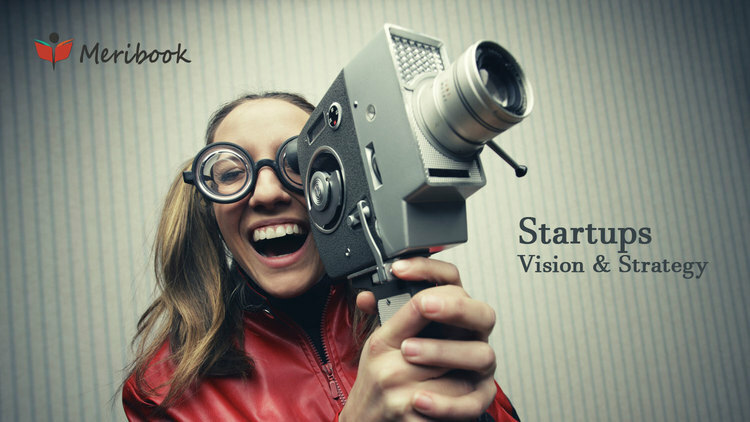 "Vision and Strategy" for your startup! This "vision and strategy" that every expert is harping about as being critical to your success. As a web developer, I struggled for the last 5 years to build up a company, getting projects was ok, scaling was the difficult piece. Training people and then having them leave to become freelancers is common. Also, being in this field was actually a hindrance to accepting other software solutions as I tried to implement something 'better' in-house. So, this vision and strategy thingy eluded me for a long time. I've spent lots of time and effort learning about growth and success but couldn't nail it down to 'actionable' items. Now finally, I think I grasp this 'vision and strategy' piece. My Knowledge is snippets of code & knowledge! Battle tested "modules & plugins" that work well together.. etc etc. My Process was my own! Maybe a checklist here and there, but no system. Not very productive... As there were no systems in place. My co-workers skill-set was hidden from each other. Each person involved with the 'startup' had their own systems. Their own Google Docs and Evernote accounts. A better management of our knowledge base. Don't research the same things over and over across projects. A better asset management of the tools. Knowing exactly all that you got. When to use which one. A better execution should follow. If you have the above two in place. Your Knowledgement! You can start cranking out what you do best. With that goal, we started building this 'knowledge management' app and using it internally. All I can say, is "It's a game changer for us" in just the last 4 months of usage. So now, we have our Knowledge and Processes in one easy to use Tool. A tool that in turn helps us Execute Better. Just what we need to Capture Our Niche. Define Your "Vision and Strategy"! You surely didn't expect this blog post to do it for you... Right? You have to start by "documenting your knowledge". In the video below, I show you how to document easily using Meribook! Go ahead, sign up for free forever account!